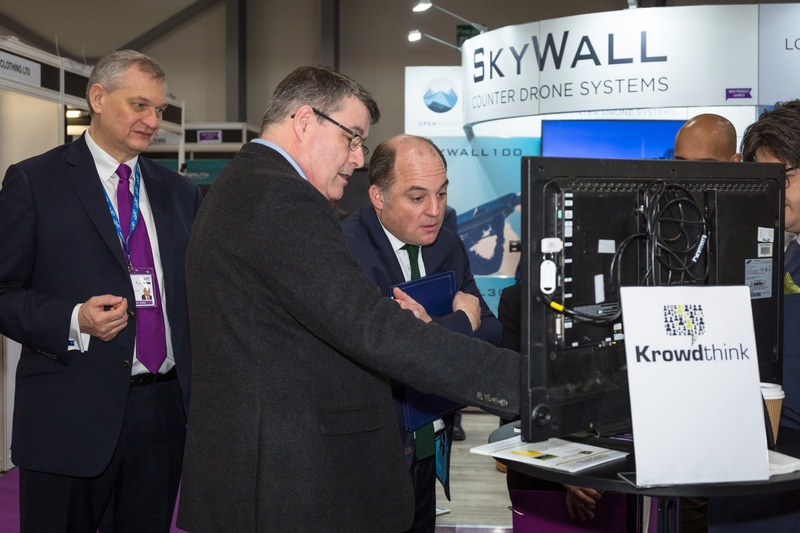 At the Security and Policing Show earlier this month, Krowdthink Ltd showed KrowdSafe™ to Security Minister Ben Wallace MP and to the Director General of the Office of Security and Counter Terrorism. The app, called The Krowd, is the first project to be launched publicly under a scheme set up in response to the terror attacks in 2017. The Improving Crowd Resilience (ICR) competition was launched in July 2017 and forms part of the Government’s efforts to do more with the private sector to encourage them to help tackle the security challenges facing the UK. It sought to fund innovative projects, which would train the public to spot security threats and allow them to report those threats. The app, created by Devon-based developers KrowdThink, allows people in crowded places to communicate directly with on-site security teams, allowing visitors to report suspicious activity or potential threats in real-time using their phones. Images are then sent instantly from the crowd and can assist the security team to assess a threat. In the first example of an ICR funded project reaching market, the Krowd App will be used at Broadgate Quarter in central London. 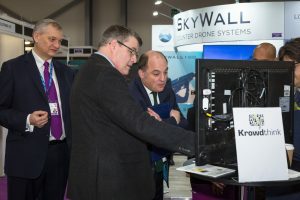 Security Minister Ben Wallace said, “We are bringing government and industry together to develop tools designed to keep us all safe as we go about our day-to-day lives. I am delighted that this initiative has already started to yield some ground-breaking technologies, like this app, and I look forward to further such innovations. Geoff Revill, KrowdThink Managing Director said, “I am delighted that The Krowd App is going to be rolled out commercially. Our dedication to producing a truly interactive and effective crowd safety tool has paid off. The funding and support from the Defence and Security Accelerator and the Home Office has given us expert insight, significantly accelerating our ability to move forward commercially. Using the app’s venue mapping feature, security staff can locate the perceived threat and rapidly direct staff to the situation. The app can also allow security staff to message the people at a venue directly, guiding them to safety. The Krowd, KrowdedPlace and KrowdSafe are available immediately. The Krowd is a free app and users can initiate a Krowd in any venue with Wi-Fi. KrowdedPlace and KrowdSafe are SaaS products to which venue owners may subscribe.